*How did you get to contest for the Miss Tanzania title? sumani: One of the organisers Mange Kimambi was a friend. We met at a fast-food joint and she asked me whether I was interested and I told her I was. Were you convinced you had what it took for the contest?I was not exactly convinced; I contested just because I had all the time in the world. I had just finished high school, so I decided to give it a shot irrespective of the outcome. *While at it, did the thought of losing cross your mind? Sumani: No. I knew I would do well. You contest with hope of winning so I went into the contest with high hopes. *When you got to meet your fellow contestants, did you feel you had any advantages Sumani: over them, as you knew one of the organisers? *Tell us about the big day when you were crowned Miss Tanzania? Sumani: It was a memorable day, September 2, last year. It was an exclusive event held at the Diamond Jubilee Hall. There was a big crowd and of course among us contestants there was high tension, nervousness as well as excitement. Above all, there was anticipation for the car to be won as the grand prize. Thank God, that at the end of the night, I was the winner.Being Miss Tanzania, you qualified for the Miss World contest in Sanya, China. * How was the experience at Miss World? Sumani: Exciting. It was one of those once in a lifetime experiences. 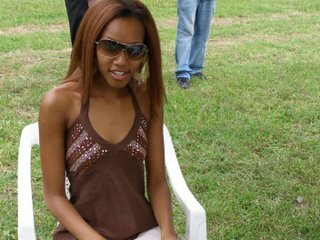 I left home on November 10, 2005, and stayed a month in China with other contestants. It was overwhelming. We were given first class treatment. We stayed at the Sheraton, China and had legendary Alexander O'Neil perform live just for us. The Chinese performances were electrifying as well. Of course the main event was magical. Besides that, we had a lot of trips around China, visiting cities like Shanghai and places like the Nanshan temple in Sanya. *How did it feel being chosen as Miss World Africa, and being so close to the title of Miss World? Sumani: Unbelievable. I was left speechless for a while. *How does it feel being the African queen? Sumani: I am a simple person who is not into vanity. I carry myself around like any other average person.You earlier said that you contested for the Miss Tanzania title because you had a lot of time after finishing high school. *Are you still in school? 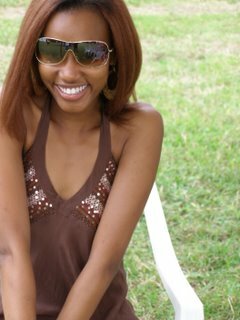 Sumani: I just finished my O-level in Masai High School in Nairobi. *You are Miss Tanzania, how come you studied in Nairobi not Tanzania? Sumani: Both my parents Mr and Mrs Abraham Sumani have businesses in Nairobi so they decided that for convenience, I had to attend school in Nairobi. It was a good place. By the time I got there, I was a young girl from Dar es Salaam and growing up in Nairobi, a place with a different culture and way of life was pretty exciting because I love adventure. *Tell us more about yourself? Sumani: I was born in Arusha, Tanzania in 1986. I am turning 20 on August 7. I am a Leo. I spent most of my time in Nairobi but I usually go back to Dar es Salaam for holidays.Any childhood memories?I was a lucky naughty girl who was never caught 'in the act'. *How would you describe your personality? Sumani: Oh my God! (Smiles) I would put it in three words. I am open-minded, happy and content. You're such a beautiful young lady, are you still single?Very much indeed. *Well, would you mind painting us the picture of your ideal guy? I like a confident 'brother' who is not easily intimidated. I like a person who is happy and content just like I am. He could be tall with a little bit of muscle though not too much. *So you mean you've never walked past some guy and you feel like…he's cool? Sumani: I have feelings and I have experienced crushes on guys but I am a pretty shy person. So I can't approach them.What things interest you?I love reading. I absolutely love adventure, more so adventurous travel for relaxation. I also love music. *Talking about travelling, how many countries have you been to? Sumani: I've been to Ireland, China, the UK and Kenya. I’ll visit Mauritius soon. Why Mauritius of all places? I will be travelling with Ms World. We shall be doing a little bit of charity work there. I guess it will be an adventurous trip because I have never been there before. Sumani: I intend to become a very prosperous corporate lawyer as well as business lady and entrepreneur. Who do you look up to in life?My parents. As a beauty queen, what's your most embarrassing moment?When I fell in a bank. It was very mortifying. The Benet’s situation is not helped by the biting poverty that the area faces. With poorly constructed houses, food shortage, frequent cattle raids and hardly any social services in the area, life only gets harder.Perched on a stone, this man seems deeply lost in thought. It is time to make a meal and despite the centuries passed since the Stone Age era, Kogeni makes his fire through the stone-age practice of rubbing two splinters and dry grass. He succeeds and the orange glow is evidence of that.It is just unfortunate that this Benet tribesman lives in the cold zones of Mountain Elgon in Kapchorwa District where dry grass is not that easy to come by. Minutes after a cup of sugarless tea, he makes for the garden but for a little while, he’s hesitant to start tilling. Dew is forming on almost everything from his hands and feet to the entire surrounding.His face tells it all. He just cannot seem to understand why after being a settler in an area his ancestors have occupied for over 200 years, he continues to be subjected to tilling land in order to earn a living. He is one of the other Benet natives that have been pushed off the bigger part of their homeland and restricted to staying in a small area between the two rivers of Kere and Kaptukoi. The rest of the land has been reserved for game.Restrictive land policiesAccording to the woman Member of Parliament for Kapchorwa, honourable Gertrude Kulany, there are actually some families that still don’t have definite areas to stay. “It is true that parliament gazetted the 6,000 hectares of the game park to resettle the Benet but still, there are some families that were left homeless,” the MP points out. She has also consequently made her pleas to government to come to their rescue and gazette more land to accommodate these people.The process of gazetting the land took place back in 1983 when government confined them to 6,000 hectares. In the same year, the red-line mark (a demarcation line between the game park and the Benet’s residential area) was put in place. The population back then were still low. At the time, the Benet were only 1,000 but currently, the figures have increased to approximately 7,000 people. Hon. Kulany adds that they have as well made an outcry to the district council to pass a resolution to enable the extension of the boundary beyond the currently designated area of occupation.Another leader and chairman of the Benet lobby group, Moses Muanga can hardly make any sense out of government’s decision towards them. “We have lived on the slopes of mountain Elgon for over 200 years. It is puzzling that we are forced to vacate. This is all due to government’s unclear land tenure policy in the area. How can you sideline human life for the case for mere animals?” he questions. Unanswered requests The chairman adds that the Benet have made various outcries and pleas to the government but all the efforts seem not to yield any results. He adds that they continue to be landless and marginalized in decision-making. He points out the resettlement process where the tribe was resettled without any compensation package. Hon Kulany attests to this, adding that the locals can hardly embark on any long-term plans within the area since they are not quite sure of their stay on the land. At times, conflicts between the locals and game rangers ensue, a situation Hon. Kulany blames on the failure of the locals and rangers to come to terms. The other reason is poverty, which has also frustrated their efforts to develop themselves. Poverty in the area is physical and their houses tell it all. They are made of a few reeds, leaves and mud. A matchbox is shared between seven families, each of them about half a kilometre apart. All Kogeni owns is a blanket, which he moves with during the day because of the cold and for bedding to warm him up at night. Despite the hard situation, he tries his best to impress his visitors; he slaughters a goat, which he prepares along with potatoes (locally known as sipatisi). On many occasions, food is obtained from the neighbouring Sabiny community in return for manual labour. In this community, women’s rights are highly respected. The Benet women are the pride of the land. Like the men, they are tall, dark and beautiful.They contribute a good share to the community. They barter the nicely woven baskets they make to the Sabiny who live eight kilometres away. This is across two streams, which, on a bad rainy day will get flooded to the extent that nobody can cross. That is when many will go hungry. The floods will also hinder the few school-going children from attending school. There hardly any social services in the area as Muanga explained: “There is nothing like Universal Primary Education in this place. Well, we would have constructed our own schools but we are a poor lot,” he pointed out.And before an NGO constructed the only health centre, the expectant mothers had an uphill task, especially when it came to labour. 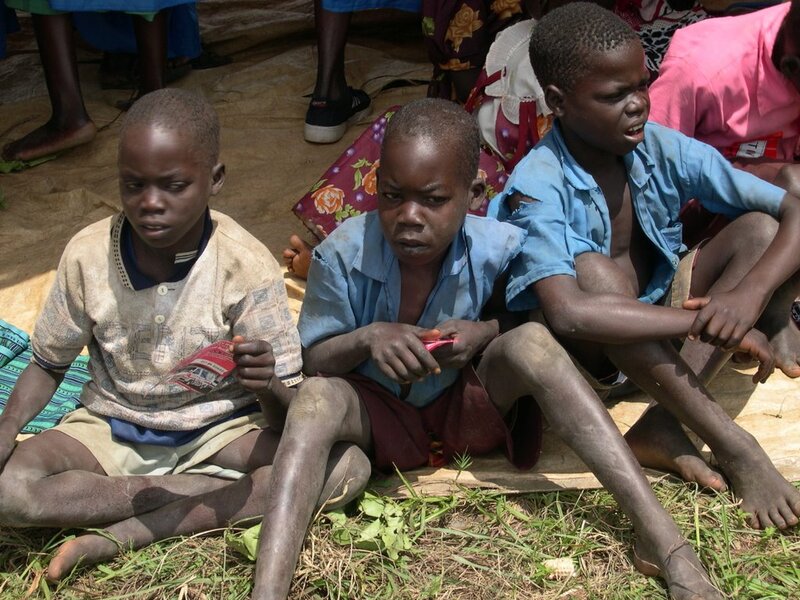 Today, many depend on handouts from Action aid and a few other NGOs operating in the area. Another problem Hon. Kulany highlights is that of the Karimajong cattle rustlers from the low lands of Ngenge. She explains that the raiders have caused unrest to the Benet, sometimes causing loss of lives in the course of the raids since some of them (the cattle-rustlers) are armed.MarginalizationIn addition, the Sabiny dominated the whole resettlement process accounting for the inclusion of the internally displaced and needy in the resettlement process, at the expense of the target historical inhabitants, the Benet. The population of the non-Benet has so far out-numbered the Benet in the area and during elections, the former take up all the leadership positions. At the sub-county for instance, none of the Benet is an executive member. On the whole, the Benet’s situation remains a hanging mystery. They need permanent structures to call homes, social services to compliment their hard work and recognition of their existence as well. A moment with Akon just brings out the character of a simple and laidback star. During his visit to Tanzania last week, one could hardly believe the man before us was actually a multi-platinum superstar whose songs are topping world charts. If it were not for his mean crew and security detail that created airs around him, he could have passed off for any other average guy. 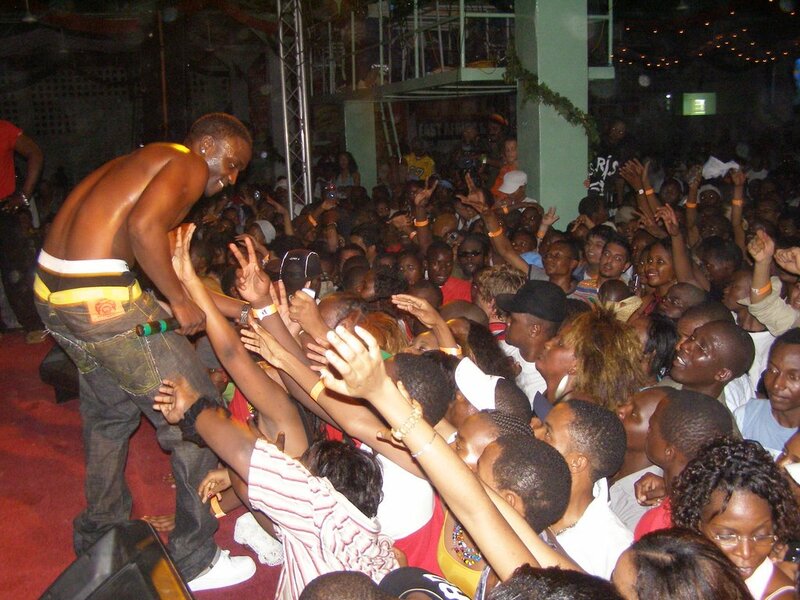 Akon had all arms open for anyone. During a press conference on Wednesday, the US-based star revealed he would sign up any serious East African artiste.His most revealing moment was during an interview in East African radio studios where he was hosted alongside his six-man crew of notably more heavily built and taller guys.Ugandan born Dennis Busulwa a.k.a Ssebo hosted the show and introduced the star to Swahili phrases like mambo vipi (Swahili phrase What's up). "Kampala, Dar es Salaam and Nairobi mambo vipi," Akon kept interjecting all throughout the show, implying that he was a fast learner. When phone lines were opened, the callers asked Akon all kinds of questions and he answered them freely. One of the listeners asked him how he had 'found' the Tanzanian girls. "Well, I do not sleep around. Whenever, I am out on a show I move with my girlfriend," Akon answered. The star, who is a strict Muslim is said to be in his third marriage. He also neither smokes nor takes alcohol. After the show, Akon posed for photos with East African artistes like Uganda's Ngoni, Bebe Cool, Kenya's Necessary Noise and Nonini as well as the radio station's presenters.Later on , the star was hosted to cocktail party where he mingled freely with everyone. It is here that he revealed that he had actually been a Jazz percussionist like his father, who moved to the US with his family, when Akon was only Seven. After settling in the state of New Jersey, Akon learned how to play different percussion instruments. However, he was always on the wrong side of the law in a bid to make ends meet, leading to his imprisonment. While serving his term in jail, he wrote down what was going through his mind, coming up with the hot album Trouble. "The album is basically me. I wrote everything, basing on my experiences." He discovered that he could no longer do percussion and turned to hip-hop, becoming a successful songwriter, singer and producer. He freely obliged when people at the party asked to have a few photos with him. He was even eager to learn more Swahili and he tried to speak it with everyone he was chatting with.Although he was expected in Tanzania on Thursday, Akon arrived in the country two days before and explained that he needed sometime to move around and experience more about the social life in Dar es Salaam. "I decided to come early so that I could move around and meet people as well as enjoy my stay here before I get on stage," he said. Akon's debut album, Trouble, went multi-platinum worldwide, with hits like Lonely, Locked up, Ghetto, Keep On Calling, Bananza and Pot of God just to mention a few. During his stay, the down-to-earth Senegalese born star was able to visit Celtel Tanzania and Coca Cola offices, the main sponsors of his Friday show. He also visited a charity home and on his way, he kept waving to the crowds, occasionally saying, mambo vipi as he travelled throughout the city. *This should be your first visit to Uganda, how have you found it here? Uganda is beautiful and the people are a lively lot. They know how to party. Of late, you've been in the media for sueing Jose Chameleone over stealing rights to your Nikusaidieje song and then you guys have made peace. *Why the sudden change of mind? We are talking about the growth of East African music and that is why I made peace. We have to build the music industry and need each other's support if we are to market our music across boarders. Such solidarity has worked in South Africa and West Africa and I believe it can also work here. *So what was the beef all about? I don't want to say we had beef. I think it was simply a misunderstanding. I would have gone to court but it's not cool. When I told Chameleone that I wanted us to make peace, he was shocked but I think sueing him won't benefit me. My dream is to see East African music grow. Chameleone is big in East Africa and I think we can do something together. As a matter of fact, when I came down, I realised many more artistes, both underground and big names, had recorded songs using the Nikusaidieje beats. *Do you have any plans of working with Chameleone on any project? Yeah. In fact we are in studio recording a duet as proof that we are back together. 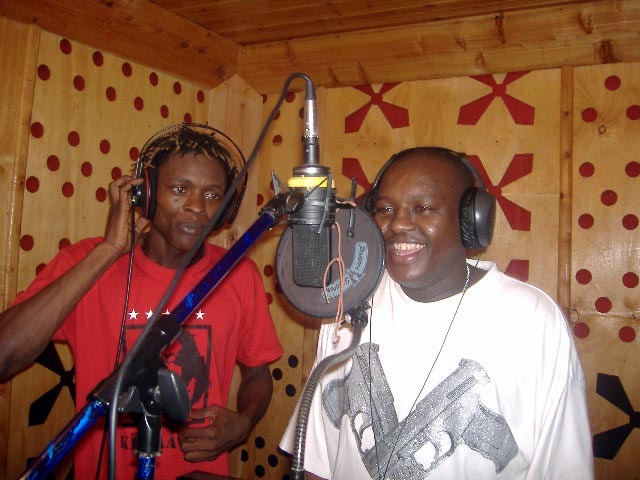 Our fans should look out for our forthcoming duet dubbed Ndivyo siyvo. *Any plans for you in the Ugandan market? I know people love my music but they don't know the guy behind it so I think I need to promote my music down here. I love the Ugandan crowd, it's so lively. I have talked to Klear Kut, Michael Ross, and Ngoni and we are set for some musical collaboration soon. *As a big artiste in Tanzania, what is your career portfolio? I have won best hip-hop award for BBC East Africa awards for the 2005 edition and in 2001, my single Mdio Mzee won an award for best hip-hop in the Kilimanjaro Awards followed by the best composer award in 2002 and yet another for best album (Mapinduzi Halisi) also in the Kilimanjaro Awards. *You are really passionate about music.Is it something you grew up to like or an interest you developed over time? As a kid, I always listened to music. My brother would bring home classic collections and this was the time when emcees like Running DMC hit big in the hip-hop circles. They sang about black solidarity and I always tried hard to sing like them. In the late 80s and early 90s, we (and my friends) started miming these songs at open school shows but this was just to win cheap popularity especially among girls. By and by, I started developing a deep interest in music. *Tell us about yourself. Who is Professor Jay? Professor Jay's real name is Joseph Haule and I was born to Mr Leonard Haule and Ms. Rosemary Majanjara on 29th December, 1975, in Dar es Salaam. I am the sixth child in a family of nine. I always want to reach out with a simple approach, which makes me a sociable person. *How did you make headway into the music industry? I didn't actually discover myself, my cousin Frank Majanjara did. He always encouraged me after discovering I had some potential. As I continued to mime rap and hip-hop, I started synchronising in my own words. At 15, I began writing my own rhymes and in 1995, I formed the Hard Blusters Crew, with my three friends Big Willy, Fanani and producer Ludigo. We released our first album Fungakazi (working together) which introduced us to the crowds. *When you look back at your musical journey, what marked your big break through? Off our maiden album, I wrote and released a song called Chemisha Bongo, which was tagged as a revolutionary song. Soon it was an anthem on all airwaves. This song brought our fathers to listen to our music. Hitherto, bongo flavour was considered to be music for the street/ghetto people. Chemisha Bongo opened the way for other artistes into the game. It had an irresistibly strong message. *What was so magical about Chemisha Bongo? It tells the story of a child who did not want to go to school because he came from a well-to-do family but was opened to the 'real' world when his parents passed away. Relatives stole all the property his parents had and he was left with nothing and regretted not having gone to school. So parents used this song to caution their children and encourage them to work hard for their future. *When did you go solo? I went solo in 2001 and released my first album titled Machos Jasho Na Damu (Tears, Sweat and Blood). I dedicated this album to those hustling with life, those living on the streets and the ghettos. It was a word of encouragement for them not to give up hope. *How did you carry on from there? In 2003, I released my second album, Mapinduzi Halisi which had the hit song Zali la Mentali that enjoyed some good airplay especially on East Africa television. And in 2005, I released J.O.S.E.P.H. It has the Nikusaidieje hit that has won me an award for best song in Tanzania in the country's Kilimanjaro Awards. I think as artistes, we might borrow ideas from the West but I feel our pride as Africans shouldn't be compromised. We still need to represent Africa. We have so many problems and as artistes, have a voice which can cause change. For a moment, she stood still and at as loss for words. A visibly excited Hadijjah Nakito expressed joy as tears rolled down her cheeks. Nakito, an HIV/Aids widow living in Makerere had her house washed away by heavy rains and has since been living in a shack but Actionaid International Uganda came to her rescue and constructed her a house, which was officially handed over to her last Thursday. Nakito revealed the painful experience of life without a home and 11 members of the family to fend for. The Country Director Amanda Serumaga said Nakito's three bed roomed house, would help her fend for her family as a source of income through renting out the boys quarters. "This is part of our concerted efforts to work hand in hand with community based organisation in trying to eradicate poverty," she said. Actionaid is visiting different local communities in Uganda under the Get on board, back on the road dubbed campaign.